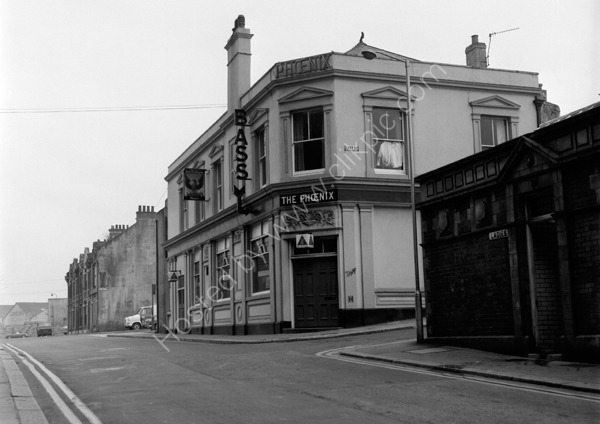 The Phoenix Tavern, Stonehouse, Plymouth, Devon around 1974. The building to the right is a public WC block with the "Ladies" in shot. In the far distance on the left is a very primitive looking Jewsons. For commercial use of this photograph please visit www.alamy.com and search for A8FN03 but for a one off print, please see below.